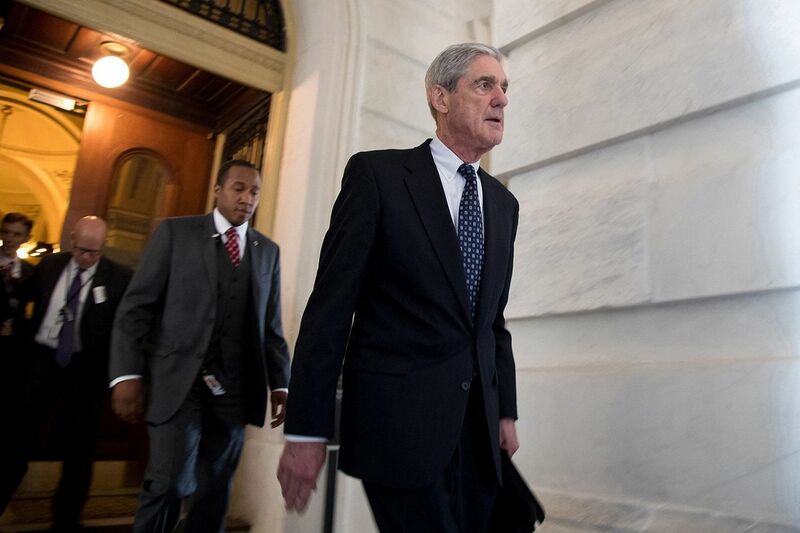 WASHINGTON — Special counsel Robert Mueller has submitted a confidential report to Attorney General William Barr, marking the end of his investigation into Russian interference in the 2016 election and possible obstruction of justice by President Donald Trump, a Justice Department spokeswoman said. Barr said there were no instances in the course of the investigation in which any of Mueller's decisions were vetoed by his superiors at the Justice Department. "I remain committed to as much transparency as possible, and I will keep you informed as to the status of my review," Barr wrote. The submission of Mueller's report marks the culmination of his closely held inquiry, a case that has engulfed the Trump administration since its inception and led to multiple guilty pleas from former advisers to the president. With the closing of his investigation, Congress and the newly empowered Democratic House majority will soon assess his findings — and determine what steps to take next. According to Justice Department regulations, the special counsel's report should explain Mueller's decisions — who was charged, who was investigated but not charged, and why. None of the Americans charged by Mueller is accused of conspiring with Russia to interfere in the election — the central question of Mueller's work. Instead, they pleaded guilty to various crimes including lying to the FBI. Mueller, a Vietnam War veteran, prosecutor and former FBI director, was highly regarded. Politicians on both sides of the aisle — as well as federal law enforcement and intelligence veterans — had long admired and trusted Mueller, a Republican. Within a day of Flynn’s plea, the Washington Post reported that the former lead FBI agent on Mueller’s team, Peter Strzok, had been removed from that position over anti-Trump text messages he had exchanged with a senior FBI lawyer, Lisa Page. Both had worked on the Clinton investigation, and their texts to each other during the campaign revealed disdain for Trump. Mueller’s final public indictment was emblematic of much of his investigation — a person close to the president had been arrested and charged with crimes, but not for conspiring with the Kremlin.